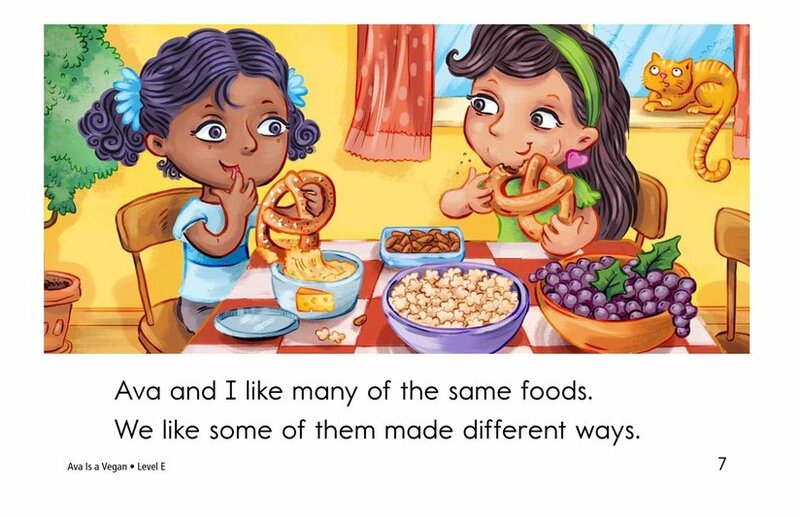 Have you ever thought about how other people may not eat the same foods as you? 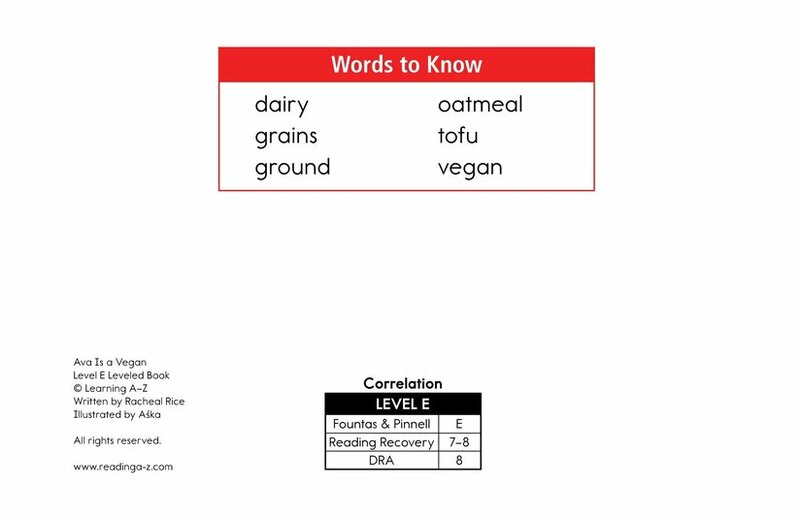 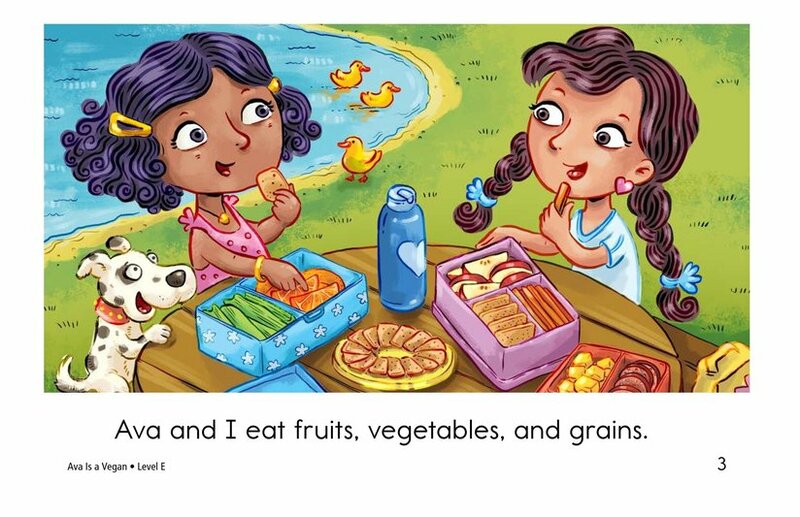 All people eat different food according to their lifestyle and beliefs. 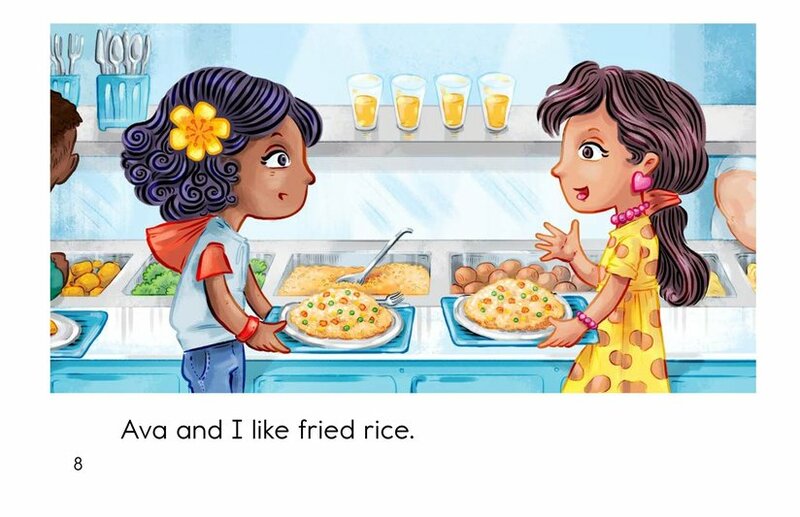 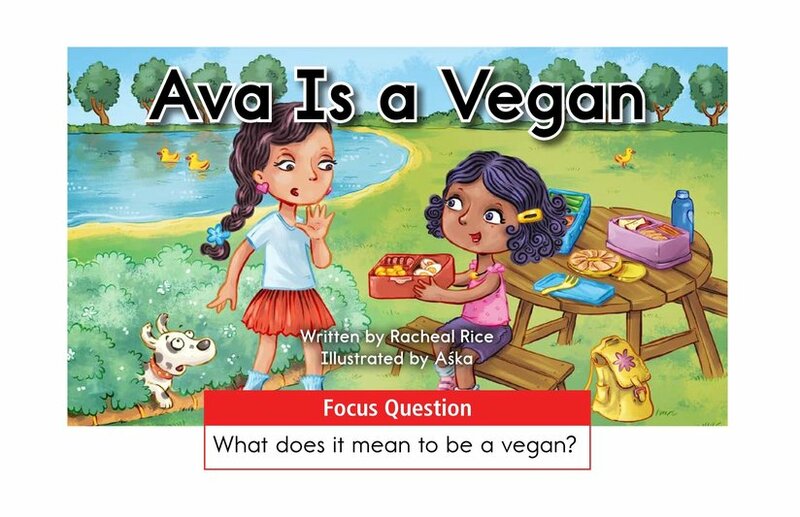 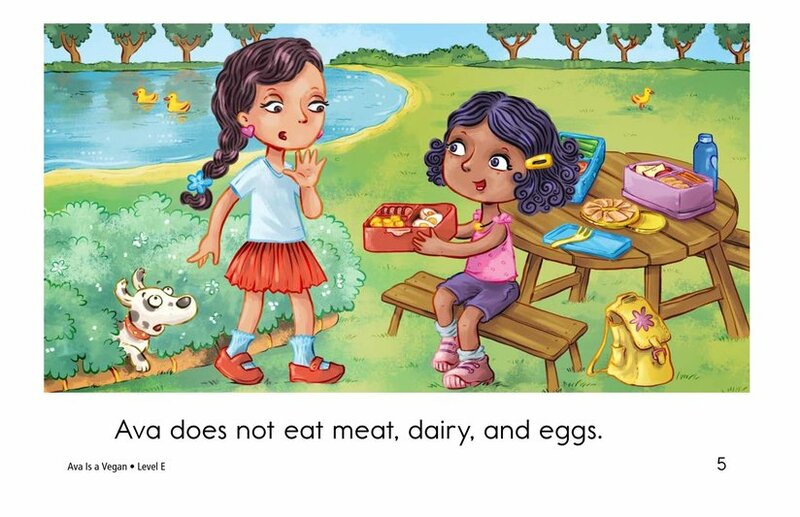 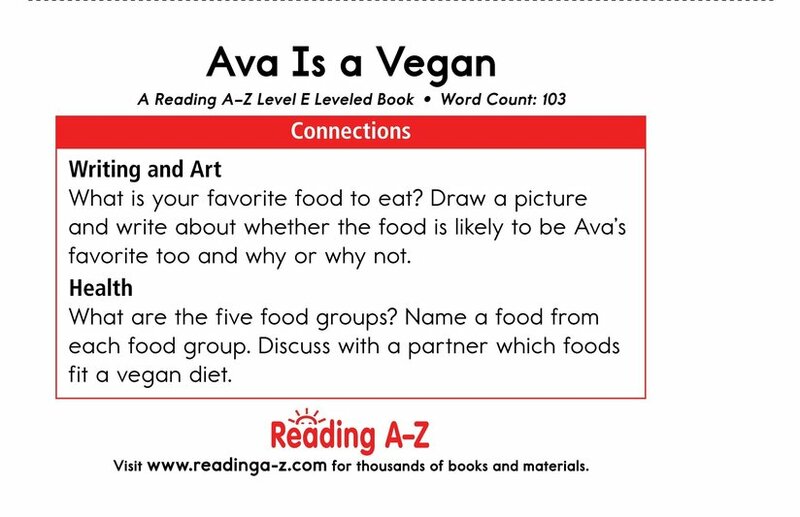 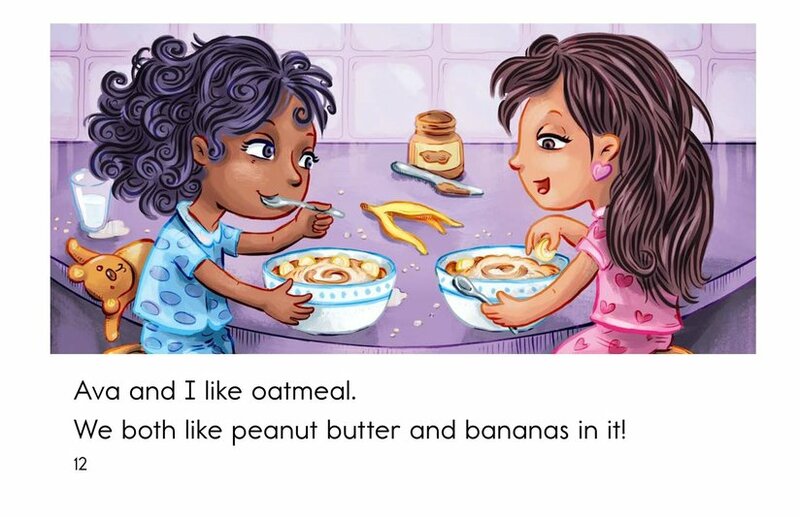 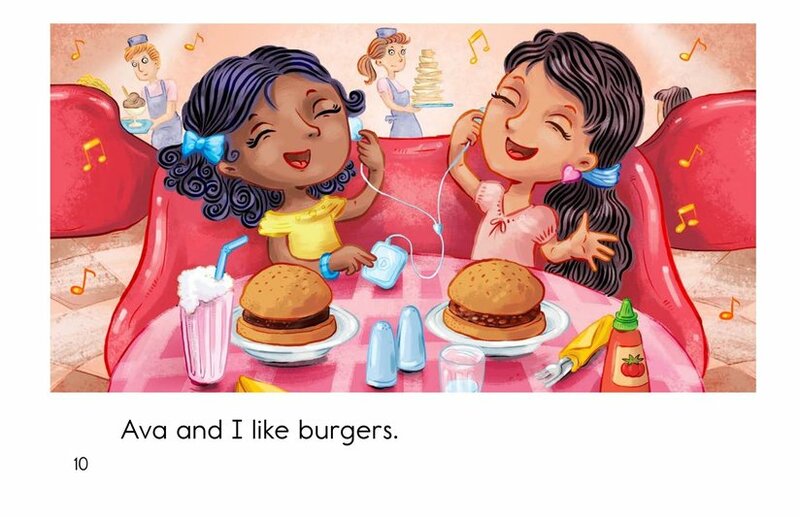 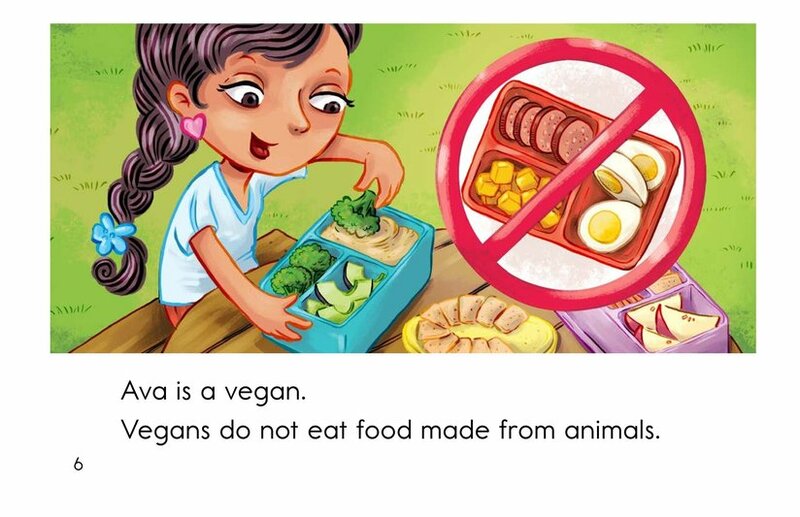 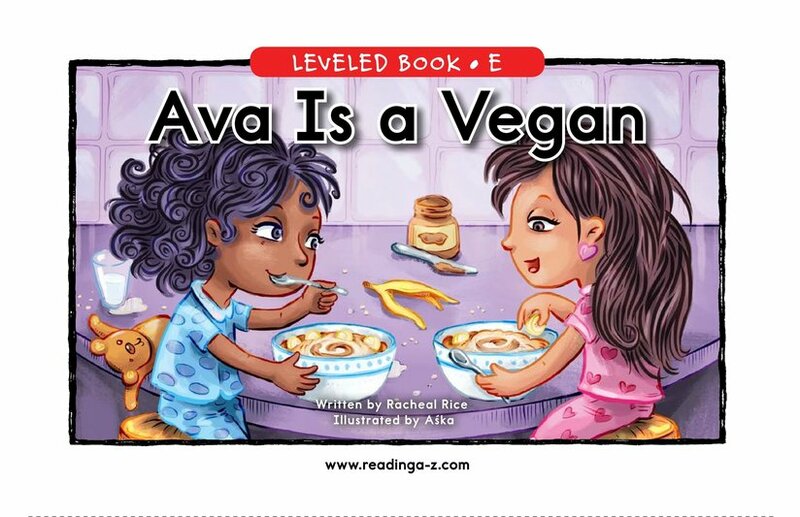 In Ava Is a Vegan, students will learn what a vegan like Ava does and does not eat. 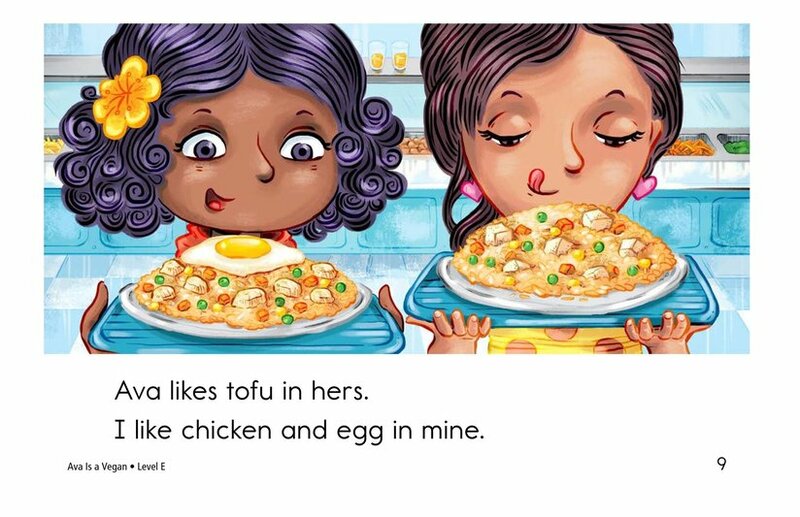 This story supports emergent readers by providing colorful illustrations and high-frequency words. 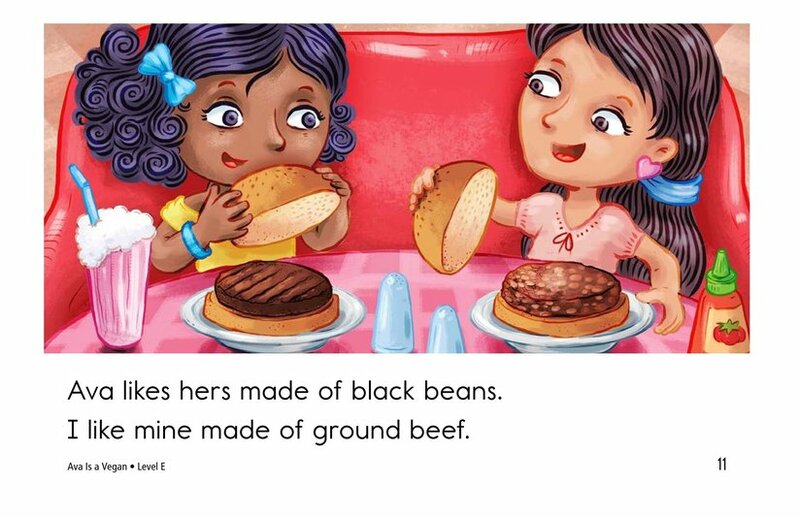 Students will also have the opportunity to practice connecting to their prior knowledge to better understand the story as well as comparing and contrasting details from the text.